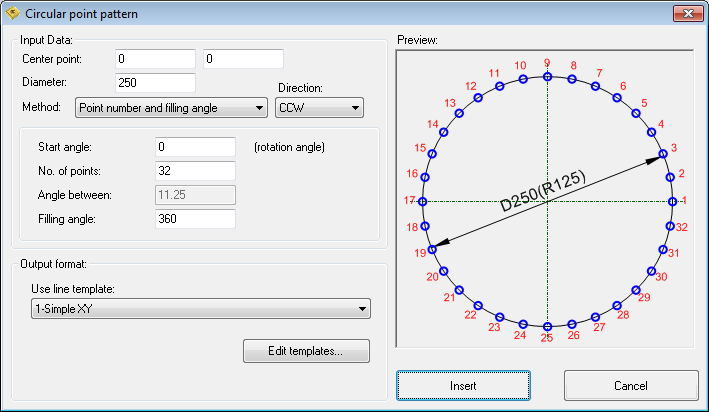 Use this dialog to insert circular point pattern in your CNC code. Define center point and pattern diameter. Result is displayed in preview area. Select output line template (or click on "Edit templates...") and click "Insert" to insert point pattern in CNC code.